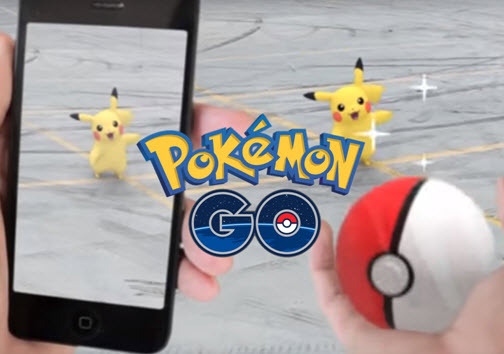 Many of you is asking how to participate in Japan Market after Pokémon-Chasing. 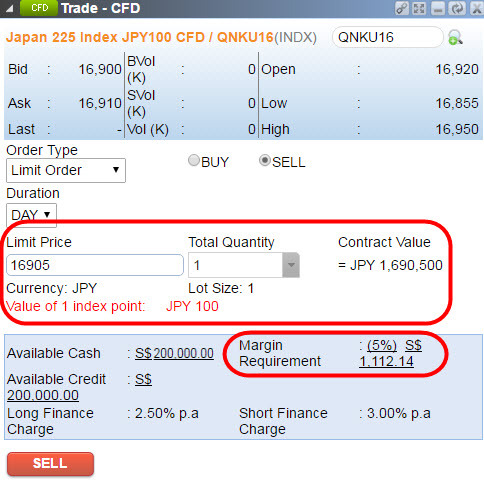 Below useful info for you to participate in Japan CFD. 1) Why Trade Japan Stock Market? This will provide you with the opportunity to access one of the largest economies in the world. Although the Japanese equity market surged in the first two quarters of 2015, the market reversed all its gains towards the end of the year and is now trading at the same level of October 2014. Traders and investors are beginning to look at the land of 'Rising Sun' again. 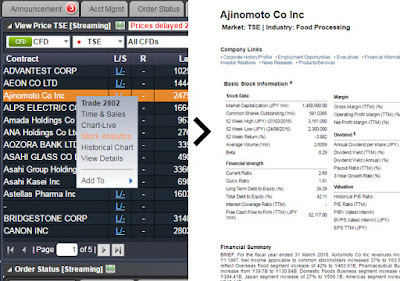 2) How to look up more information about Japanese Companies? Look up the counter in POEMS 2.0, right click and select stock analytics. This will generate a report on the company's Business Summary, Basic Stock Information, Financial Summary as well as Technical Analysis. Long Finance Charge: 3.5% p.a. Short Finance Charge: 4.0% p.a. With World Indices CFDs, investors are able to diversify across various markets. Being able to long and short an index with CFD allows investors to trade on the price movements of the entire stock index as a whole, as opposed to entering the market via investments in individual companies. - Long positions in World Indices CFD, the dividend adjustment will be credited to the client’s account. - Short positions in World Indices CFD, the dividend adjustment will be debited from the client’s account.